The Government’s desperate decision to raid the base funding of Australia’s world-class research in what can only be described as an attempt to sandbag regional seats is as destructive as it is damaging. 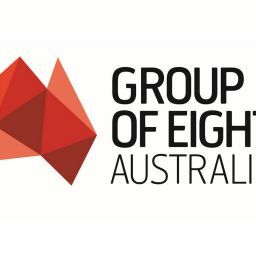 “Under the guise of supporting regional and remote students – which is critical policy and strongly supported by the Go8 – the Government has carried out a blatant targeted funding raid on base research funding, the depth of which is unprecedented, self-defeating and damaging,” says Go8 Chief Executive Vicki Thomson. “Of course, regional and remote students always need support and the Go8 certainly provides that to the more than 30,000 who attend Go8 campuses. But no Government that cared about the community and its health and welfare would do so by raiding funds that go toward, for example, supporting critical medical research,” she said. Ms Thomson said any hope that the criticality of university research mattered to the new Federal Minister Dan Tehan has been seen to be futile. “All the Minister has done is set in motion a funding decision that pits university against university and which will gradually see a drop in the world class research carried out by Australia’s university sector that sees seven Australian universities ranked in the world’s top 100 universities based on their research results,” she said. “This in turn will see the future economy damaged and the very students he claims to want to help have reduced study and career opportunities. The whole Australian community will also miss out on the positive impacts of research. “Investment in research is an investment in the national economy with Go8 research activity alone contributing $24.5 billion to the economy each year – that is $1000 for every Australian – wherever they live. “We also know from our recent economic impact analysis conducted by London Economics that every $100 million cut from research funding will result in a reduction of $1billion in economic activity.